Deyin Taijiquan Institute organise intensive Tai Chi Qigong training & Cultural trips to China and train with some of China's finest lineaged masters and internationally acclaimed teachers. We also work with various schools & organisation all over the world helping them organise training and sightseeing tours to the Land of the rising dragon. 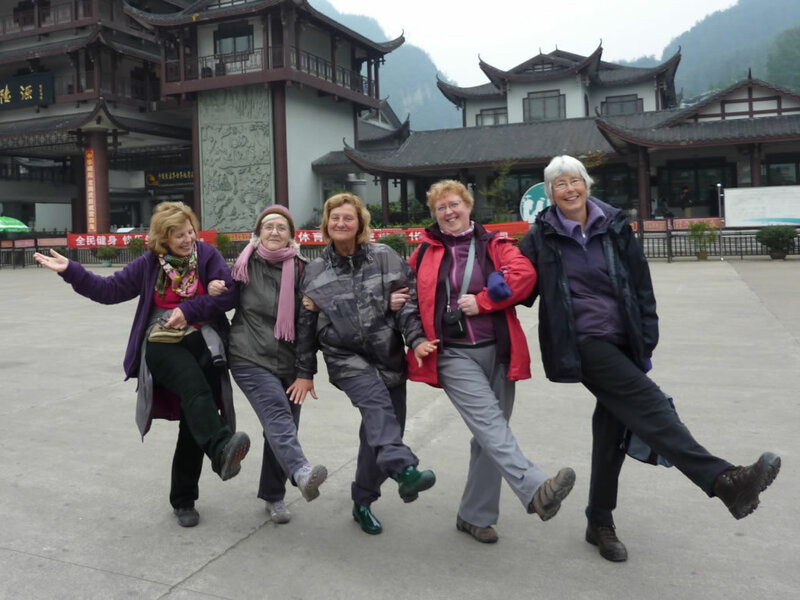 All trips are organised in associaition with Tai Chi Link, our trips organising agent, which has over 13 years of experience and feedbacks from people who went on previous trips are excellent and all participants coming on our trips can be sure of a great time. As well as travelling to some of China most famous and beautiful cities such as Shanghai, Hang Zhou, and Su Zhou, we will also be visit some of China's famous unversities - Shanghai University of Physical enducation and Wuhan University of Physical education. These two University are two of the main institute involving in development and promotion of Tai Chi & Health Qigong for Health and wellbeing. This is an absolute once in a lifetime opportunity to explore some of China's most famous and exotic places. We will first sample in Beijing, some of the finest palace and gardens in once enjoyed by the emperor of one of the greatest civilisation in the world. Chengdu - Giant Panda, Leshan Hillside Buddha and ancient old town / Xi'an - Terracotta Warriors, Big Goose Pagoda / Wudang Mountain - enlightening temples, Longmen Grottos - Cave Carving of Buddha Stautes & Shaolin Temple - Sacred Buddhist temple and birthplace of all chinese martial arts..
Chengdu - Giant Panda, Leshan Hillside Buddha and ancient old town / Xi'an - Terracotta Warriors, Big Goose Pagoda / Wudang Mountain - Wudang qigong and Tai Chi Training / Beijing - Forbidden City, Great Wall etc..
Tai Chi Qigong Toaist tour with commeration of the 100th anniversary of the creator of 24 step Taijiquan "Grand Master Li Tian Ji"
Great training tour with world class masters & fantastic cultural expedition to most beautiful places on earth!! This is a training trip which will cover some Tai Chi & Qigong, exercises in Beijing. we will visit some of the most famous place in China, The Forbidden city, Great Wall, Tiananmen Square, Summer Palace, Terra Cotta Warriors, etc. We will also be visiting great architectures and temples of China. This is a training trip which will cover quite a few activities, Qigong, Pushing training both in Beijing and Wudang Mountain. Hua mountain one of the 4 most sacred religious mountains in China. This is a training trip which will cover quite a few activities, Qigong, Pushing training both in Beijing and Wudang Mountain. Also we will travel to see Hang Zhou West Lake and one of China’s most Beautiful mountains “Yellow Mountain” to admire the breathtaking views. Intensive training tour with world class masters & cultural expedition to some of the most beautiful places on earth!! This is a training trip which will cover quite a few activities, Qigong, Pushing training both in Beijing and Wudang Mountain. Also we will travel to see one of China’s most famous attractions the Terra Cotta Warriors as well as many other places the last group did not visit. Hopefully it will be as new for the people who came on our last trip as the ones who come on the trip for the first time. This intensive training tour offers enthusiasts a great opportunity to practise the most popular Health Qigong Yi Jin Jing & Ba Duan Jin, Sun Style Tai Chi, 24 Step Taijiquan with great masters.